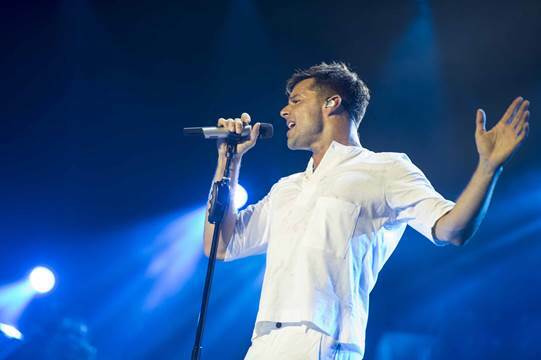 The multiple Grammy Music Award and Latin Grammy winner, Ricky Martin along with International Urban artist, Wisin and Pop duo Ha*Ash as his special guests for his acclaimed One World Tour produced by Live Nation will kick-off in the United States on September 15th with the first show in Las Vegas, Nevada (See full list of tour dates below for dates with Ha*Ash or Wisin). The Pop duo, Ha*Ash (Hanna Nicole and Ashley Grace) who have achieved triumphant commercial success and garnered media praise for their latest album, Primera Fila-Hecho Realidad (First Row – Made Real) and have successfully toured internationally will be performing in select cities including: Las Vegas, Los Angeles, San Diego, El Paso, San Antonio and Houston amongst others. The duo recently released their latest single, “Lo Aprendí de Ti”. 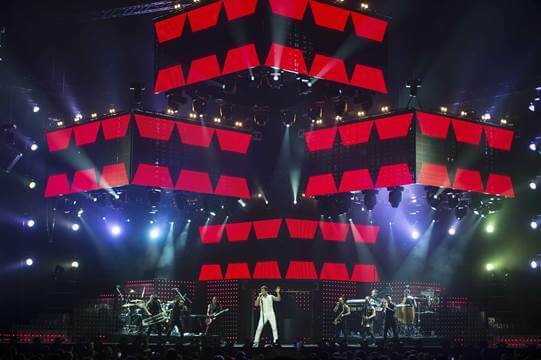 Wisin, artist who Martin has previously collaborated with also joins the tour as a special guest in New York, Washington, Chicago, Atlanta, Miami and other cities. Wisin colaborated with Martin in the radio hit, ‘Adrenalina’ for which the video has received over 300 million views on YouTube and has collaborated in a new single that will be released soon. Wisin is living one of his best moments of his solo career, with the release of his second album, “El Regreso del Sobreviviente” (The Return of the Survivor) as a solo artist that has taken him on an extensive world tour and establishing him as one of Urban music’s most important artist around.